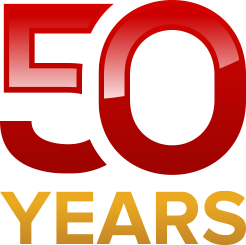 It’s been 50 years since the Federal Communications Commission (FCC) assigned radio spectrum as part of Instructional Television Fixed Service (ITFS), now known at the Educational Broadband Services (EBS), to ACE. ACE’s mission hasn’t changed – deliver curriculum over its network to classrooms and workplace learning spaces. It’s the delivery network, the curriculum and learning spaces that have changed. Originally, ACE broadcast distance-learning classes originating from its classroom in Mountain View to transmitting towers at Black Mountain above Palo Alto, and Mt. San Bruno north of South San Francisco. Instructors from Bay Area schools such as UC Berkeley and UC Santa Cruz would provide accredited classes. Area corporations such as Chevron, IBM, Motorola and Intel had established their own classrooms where the live classroom instructions were broadcast. Small antennas on the rooftop of the corporation’s facilities received the broadcasted signals and the antennas were then hard-wired or “cabled” to these classrooms. Engineers, business and medical professionals who attended these distance education classrooms would receive college credit for completing the courses. Much has changed in 50 years. The network is now the internet, not a network broadcast from mountain-top cell towers to hard-wired lines that brought classes to a TV set. In an FCC approved agreement, ACE leases a portion of its licensed radio spectrum to Sprint and, in return, has access to Sprint’s wireless network. This agreement provides ACE Partner Schools and Learning Centers both on-site and mobile Internet connectivity. Learning spaces are now wherever the internet reaches, from school Learning Labs to computers in the classroom, to students on computers or mobile devices at home. ACE helps meet today’s educational requirements by providing an available and flexible network. Curriculum has changed too. ACE’s focus is to support ACE Learning Centers which provide community-based curriculum. This means curriculum focuses on the needs of the community. For example, the International High Schools in Oakland and San Francisco focus on the needs of immigrant students and their families in the Bay Area. Importantly, they get students through high school and into college, and offer support programs to help keep students in college. Immigrant parents learn English and computer skills to navigate through their new life, from reading bus schedules to college entrance requirements to understanding their rights as immigrants. The Alpha Public Schools ACE Learning Center focuses on low-income Latino and Vietnamese parents. English is taught so parents can grow and succeed in their businesses and careers as their children who attend Alpha Public Schools are driven to graduate and attend college. They also added classes to help guide parents through the complicated college admissions process. The Audio Academy at KALW Public Radio teaches community-based radio news techniques and it has grown into a role-model for journalism training in the public radio industry. In fact, graduates of the Audio Academy have created stories, podcasts or syndicated radio programs of which several have been nominated for or won industry awards. One graduate was nominated for a 2017 Academy award in Short Subject Documentary. 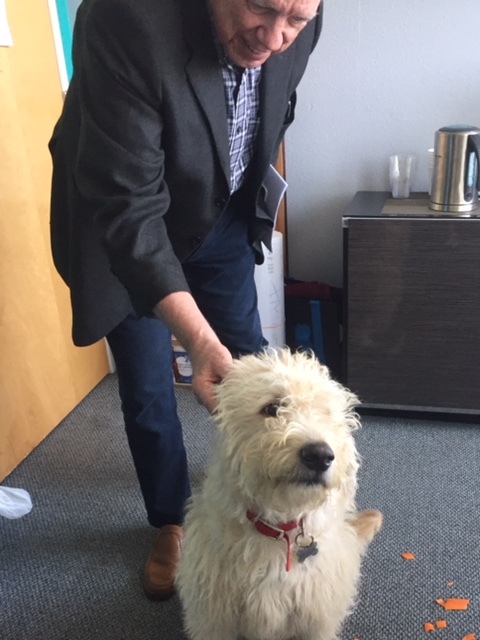 Philip Mustain, ACE General Manager, pets Thor, ODA Poetry Month Mascot. School Greeter too. The ACE Learning Center at Oxford Day Academy (ODA) in East Palo Alto learned in its first year about meeting community needs. Leadership initially wanted to offer English classes for Latino and Islander parents but were told by the community that their priority was learning how to better navigate the educational system in their community. In classes, what that means is topics such as conflict resolution, data analysis and group management. Taught in a workshop fashion, the first year’s result was that two parents were elected to sit on the ODA board. Technology, which has always been ACE’s base thanks to its radio spectrum that for 50 years has connected students to learning, is key to today’s – and tomorrow’s – learning. ACE thanks its Learning Center partners for continuing this ideal. ACE looks forward to more years in supporting continuing education.